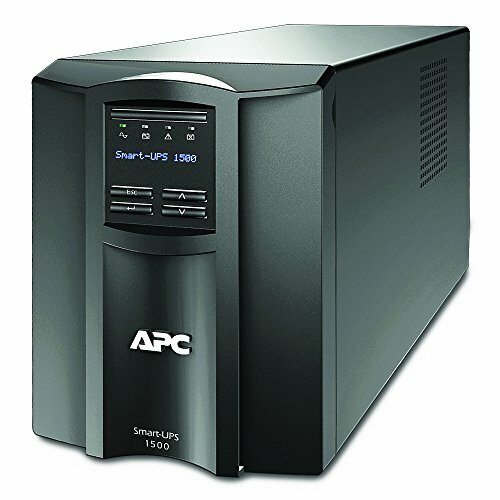 Protect your servers, switches, routers and networking devices with the Smart-UPS SMT1500C with APC SmartConnect, the first cloud-enabled UPS for distributed IT. The SMT1500C UPS provides backup battery power in the event of a power outage, while safeguarding your equipment from harmful power conditions, spikes and surges. The included cloud monitoring feature (service-free, no fees required) is accessible from any internet connected device, and maximizes the life and performance of your UPS by providing proactive advice and life-cycle recommendations so you can remotely monitor your power infrastructure from anywhere in the world. Automatic green mode ensures you are operating at the highest levels of efficiency, and intelligent battery management provides real-time monitoring and management through temperature-compensated charging that extends the life of the battery. With a 1000-watt power capacity, battery-backup and surge protection on six outlets, with one switchable outlet group, this UPS is ideal for small and medium sized-businesses. Industrial Open Frame 40W 5V 8A EPS-45-5 Meanwell AC-DC SMPS EPS-45 MEAN WELL Switching Power Supply 4" x 2"